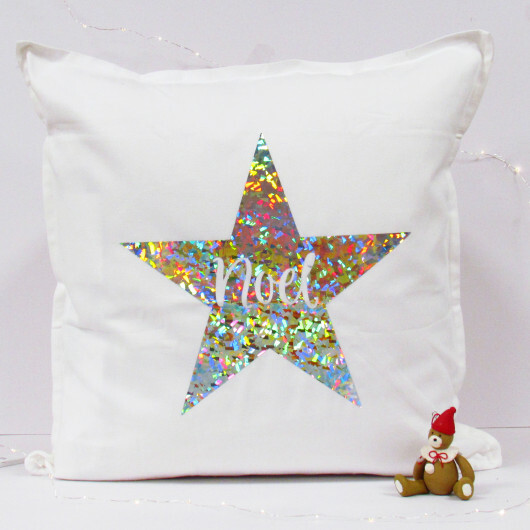 Add a bit of sparkle to your home with our personalised Noel Christmas Star Cushion! Great, gift for your own home for a family christmas present. This white cushion cover is finished with a Silver star with a Noel cut out.